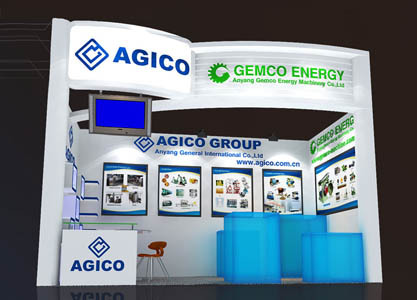 GEMCO is the subcompany of AGICO GROUP, it will attend the 111th Canton Fair ((The 111th Session China Import and Export Fair) from Apr. 15-19,2012. Welcome to visit our booth. The Chinese Import & Export and Commodities Fair, also known as the Canton Fair, is held twice a year in Spring and Autumn. It is China's largest trade Fair of the highest level, of the most complete varieties and of the largest attendance and business turnover. Preserving its traditions, the Fair is a comprehensive and multi-functional event of international importance. Fifty Trading Delegations, being composed of thousands of China's best foreign trade corporations (enterprises) with good credibility and sound financial capabilities, take part in the Fair. The Fair focus on export trade，besides，economic and technical cooperation and exchanges, commodity inspections, insurance, transportation, advertising, consulting and a host of others, are also conducted here in negotiable and flexible terms.